The last time we spent Chinese New Year in Singapore was 1997, the girls were 2 & 3! While they have not grown up knowing what CNY is like in Singapore, I hope they will always remember what CNY is like at home. We try to keep alive a few traditions for them in the US. What is CNY without good food and delicacies? 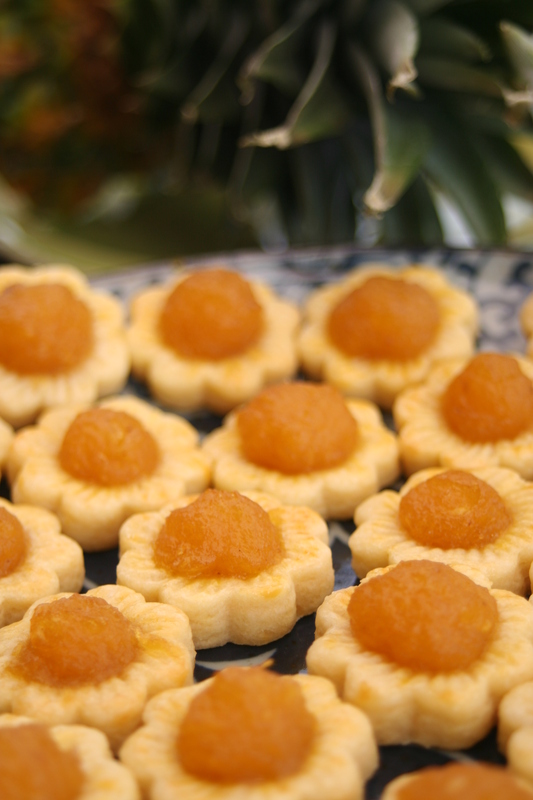 Here is one to remember: my favorite pineapple tarts. 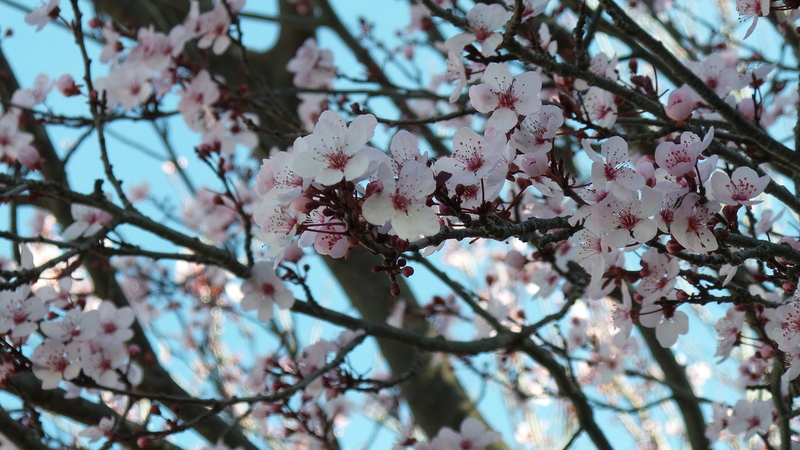 The open face tarts are inspired by these beauties; how timely is it that these Thundercloud Cherries bloom at this time of the year. Happy Chinese New Year! 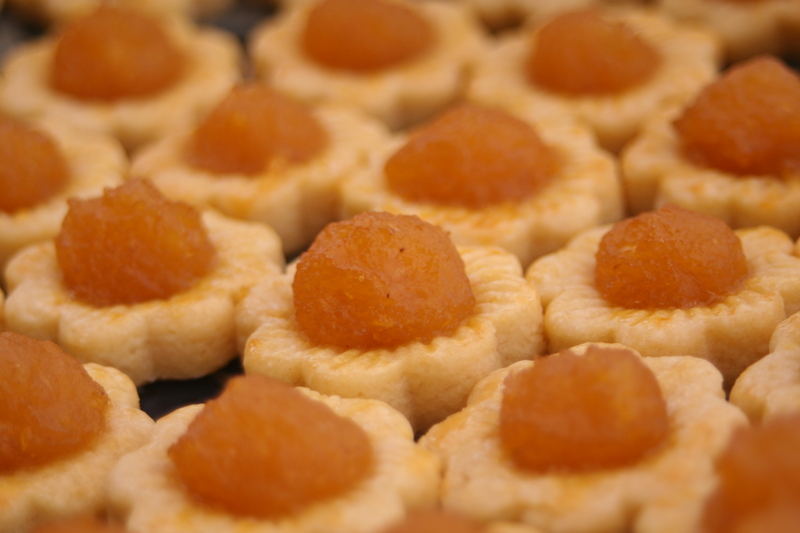 Note: I like to prepare the pastry well ahead and freeze them so that they are ready on the day I want to bake the tarts. Sieve flour, salt, and sugar into a mixing bowl. Remove butter from the refrigerator, cut into small pieces and add to the bowl. Use a pastry cutter, rub the butter into the flour until mixture resembles breadcrumbs. Add the egg yolks and continue to mix with pastry cutter. Do not overwork the dough, there should be flecks of butter in it. Slowly add the ice water and mix using a standing mixer with the paddle attachment until the pastry binds together and leaves the side of the mixing bowl. Divide pastry into 4 flattened discs and wrap with cling wrap; chill in refrigerator until ready to use. If dough is frozen, thaw the pastry discs in the refrigerator overnight before using. Make pineapple filling the day before. Peel and cut two pineapples, pulse in a blender and drain the juice. Place the grated pineapple, cinnamon sticks, and cloves into a non-stick pot. Add the sugar and continue to cook until the pineapple turns golden, and stir constantly once the filling starts to thicken. 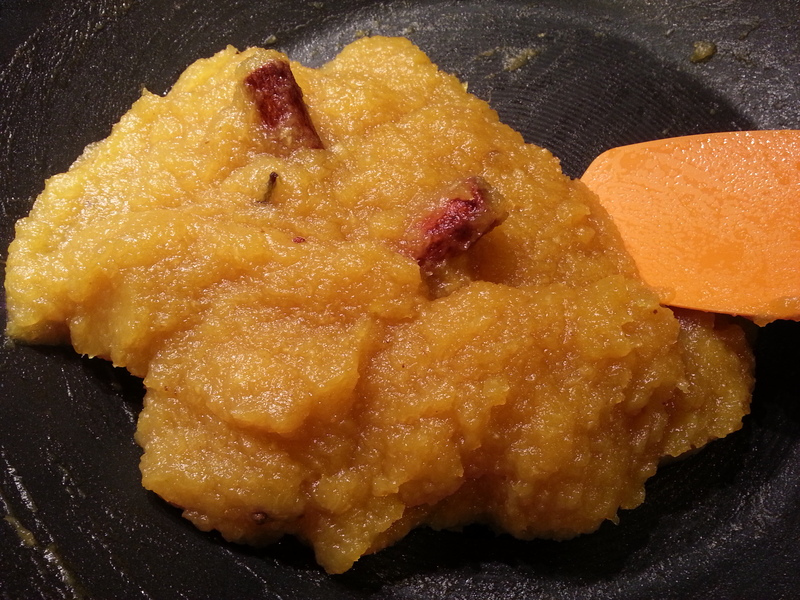 The filling is ready when it develops a semi-soft sticky texture and looks dry (approximately 60 mins). Allow to cool and refrigerate until ready to use. 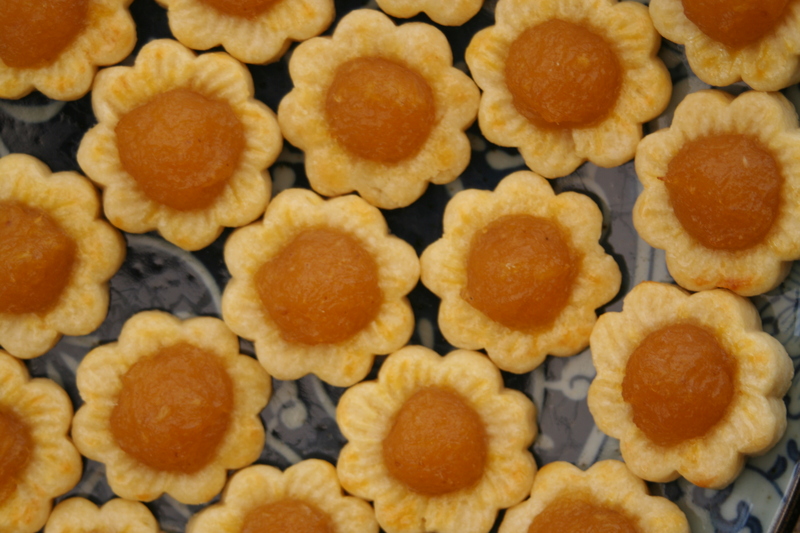 Use two tea spoons and divide the filling into small balls, approximately 1/2 tsp (5g) each for the tart mold I use. I wear food-handling gloves to roll the filling into balls. The powder-free, latex-free gloves works well for handling the sticky filling. Roll pastry to about 4mm thick in between cling wrap. 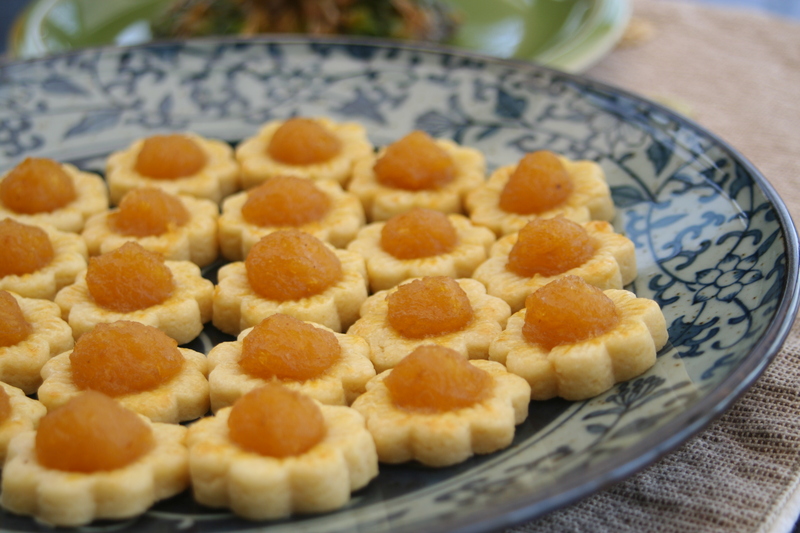 Use tart mold to cut out the tarts and place on a baking tray lined with parchment paper. 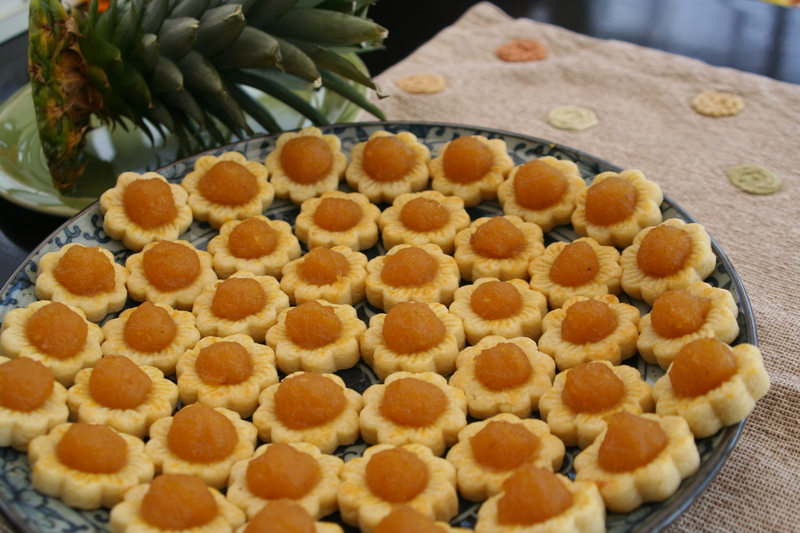 Use a soft fine brush to glaze the tarts with egg wash.
Place a ball of pineapple filling in the middle of the tarts. Bake in pre-heated oven at 170 degrees C (338 F) for 25 minutes or until the tarts are nice golden brown. Cool on wire rack. Store in air-tight containers.